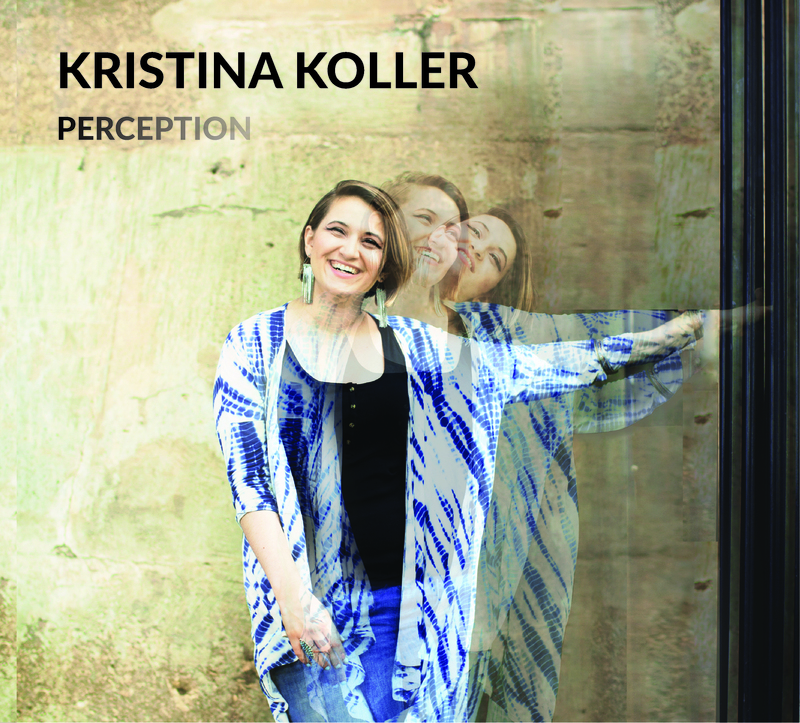 Kristina Koller is a 23-year-old vocalist who shows a knack for mixing things up on her debut album. Her song list contains venerable standards along with original material and songs by fairly recent rock acts like Blink-182 and Bon Iver, while her arrangements of the material encompasses everything from mainstream acoustic jazz to hip-hop and funk. As a result you get versions of “I’ll Remember April” and “Blame It On My Youth” that sport elegant acoustic piano underlined by easy-riding hip-hop beats while “I Miss You,” a gloomy rant by the pop-punk band Blink-182, becomes a sophisticated jazz ballad. “Nice Work If You Can Get It” is powered by a hammering piano line more suited to a prog rock setting, and “You Go To My Head” is treated as sleek urban funk. No matter how the music changes from track to track, Koller’s singing makes it all work. Her voice projects a melodic innocence and honesty that gives the set a sense of unity. That sense of musical adventurism carries on through her original songs. “Utopia” is a carefree little swing tune with Koller accompanying herself on ukulele, “You’re Here Now” is moody electric-piano-led funk, and “Our Lives” moves along on a simple, dramatic piano line that could have been written by Carole King. “Simplicity,” credited jointly to Koller, pianist Fima Chupakhinand bassist Chris Talio, is a frisky bit of trio jamming that shows Koller can sing straight up-tempo jazz as convincingly as ballads or slinky soul. The most involved and impressive arranging of the set comes on Bob Dorough‘s “Devil May Care.” Tango rhythms, trumpet, ghostly voices, electric piano and murky beats all get mixed together to give the song a sensual groove that the late Mr. Dorough himself would probably have liked. Kristina Koller has a fearless musical curiosity that leads her to blend all sorts of elements together into a variety of fresh sounds, and sing over them with complete assurance and ease. She has produced a strong first effort and it’ll be fun to see where she goes from here.